After visiting Rhodes five years ago and not visiting Butterfly Valley, I was determined that during my latest trip I would finally get to see the famous, stomach-less Jersey Tiger Moth. 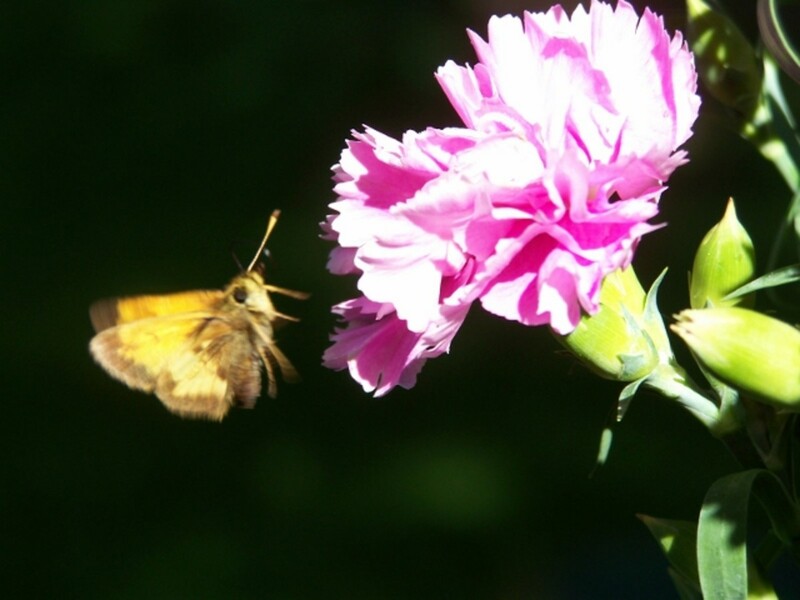 After all, I was on the Island at the right time of year; July, as the butterflies (although they're not really butterflies) descend into the valley after the rainy season in late May. The valley is fairly easy to get to, particularly for myself as I was staying in nearby Tholos, and at the time of writing the entrance fee was only five euros, so also one of the more affordable attractions on the Island. 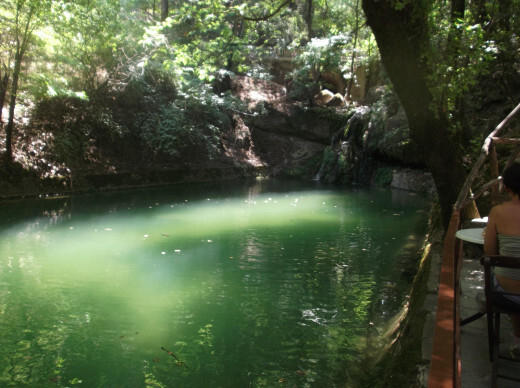 Petaloudes Valley is situated just a few kilometers from Theologus, on the western side of the island. 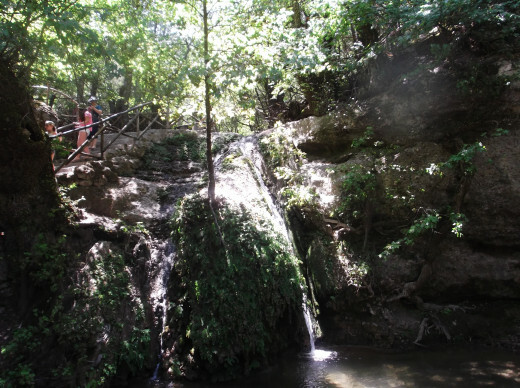 There are many excursions to the Valley, however, it's far cheaper to catch the bus and then a Taxi from Tholos. Should you decide to plan the visit yourself and cut out the tour operators, you'll also have the opportunity to explore the charming village of Theologus, with its cobbled streets, traditional tavernas and quaint village church. 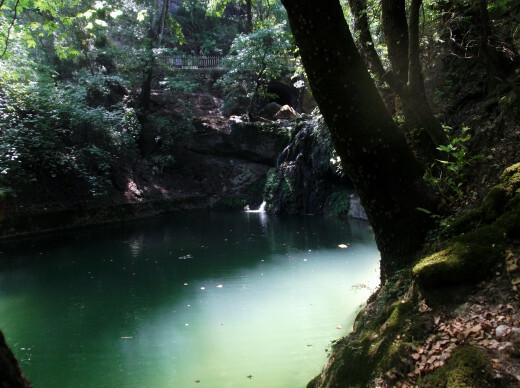 Another reason to stop off at Theologus is that it has remained completely untouched by mass tourism. After entering the valley I was quite taken back, not by the butterflies, but their apparent absence. Two or three butterflies did flutter past as we made our way along the path, but that was all, until the visitors to the valley had inadvertently disturbed them. 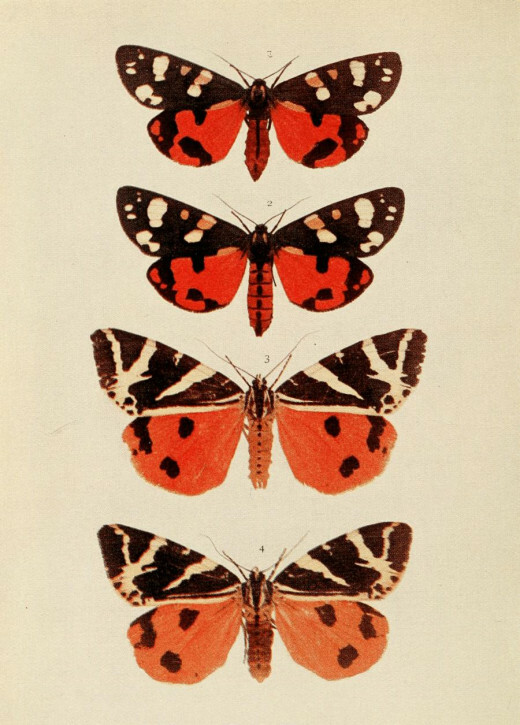 And there they were, in all their glory- the magnificent Jersey Tiger Moths. Literally thousands of butterflies descended upon on us, and only then did it become apparent that the butterflies were everywhere, and I mean everywhere. They had camouflaged really well amongst the foliage and the trees. 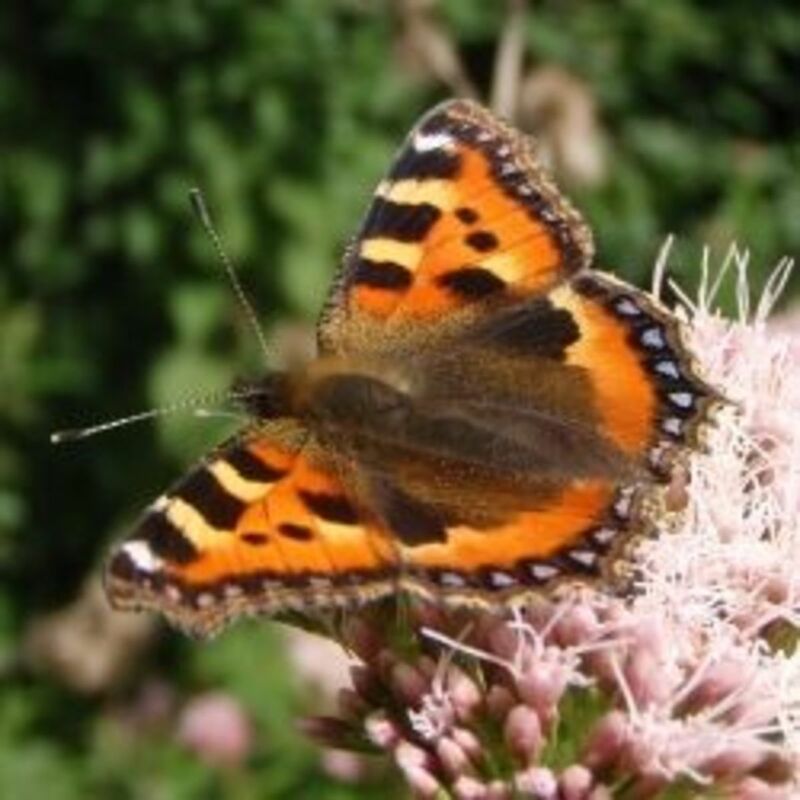 When in flight, the butterflies expose bright orange/red inner wings but when resting with the wings drawn back, they are brown with cream colored markings. The Jersey Tiger Moth (Euplagia quadripunctaria) isn't really a butterfly at all, but as the name suggests, a moth, a day flying moth to be precise. 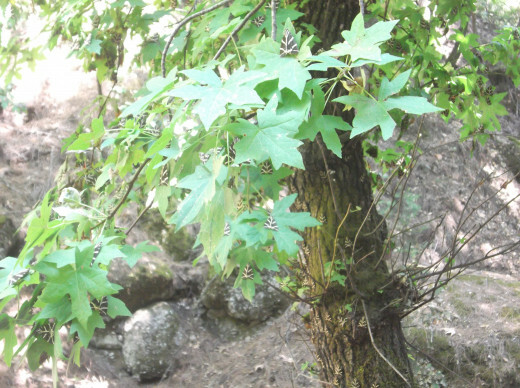 The butterflies, or moths, make their way to Petaloudes Valley during late May, they are attracted to the valley by the vanilla scent of Oriental Sweetgum tree (Liquidambar orientalis) and the region's humidity. Unfortunately, the Jersey Tigers' numbers are dwindling, not because of threats to their habitat, predation or the myriad of threats faced by other declining species, but due to disturbance from humans. The Jersey Tiger does not have a stomach, and during the months of July and August will settle in the valley to breed. 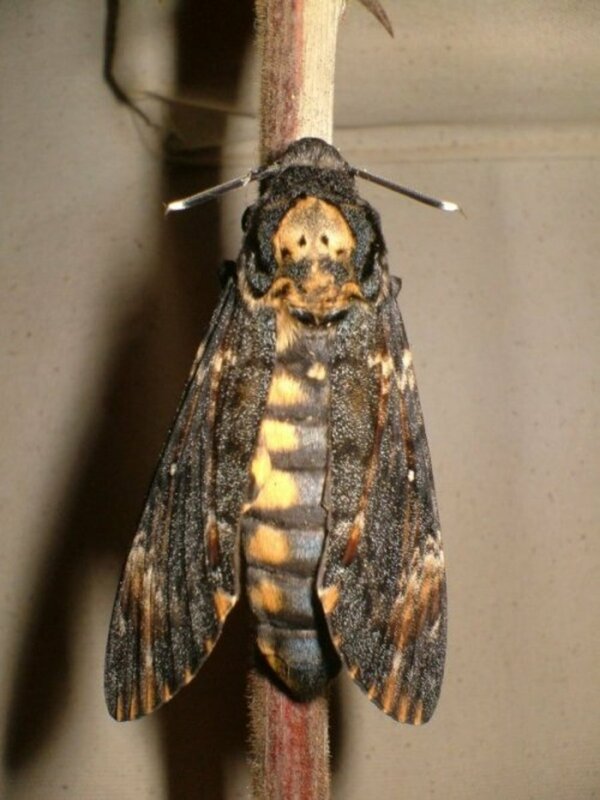 During this period, the Tiger Moths will live entirely off their body fat. Consequently, when they are disturbed, they will tend to fly around without settling which considerably depletes their levels of energy. 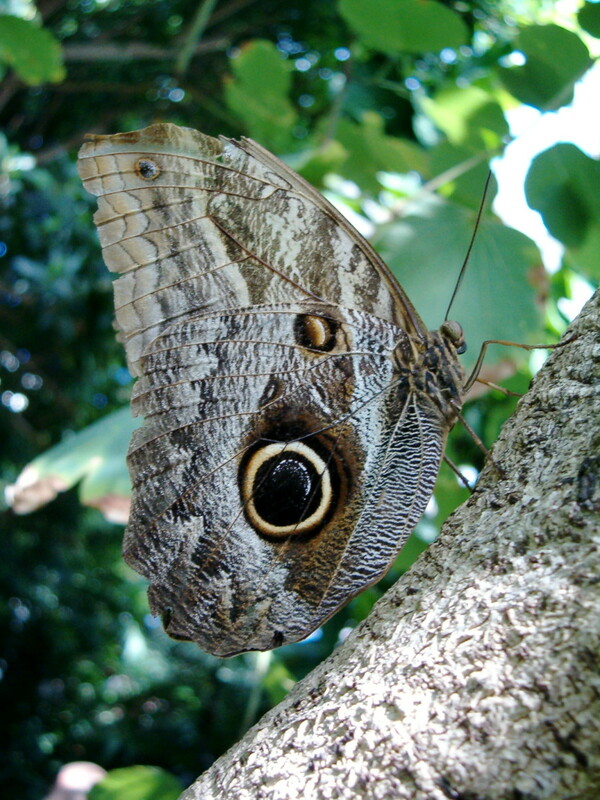 As a result, visitors are prohibited from to clapping, shouting or making any noise which might startle the butterflies. Butterfly Valley is in Two Parts. 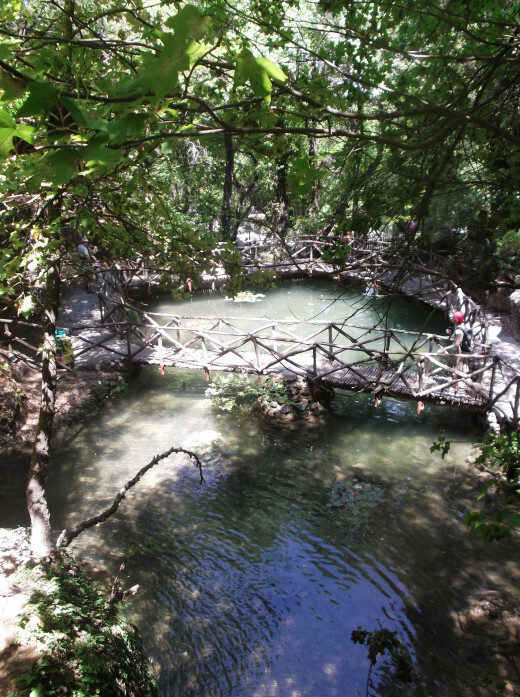 Of course, the main attraction to the Valley is the butterflies, however, Petaloudes really is a stunning region. 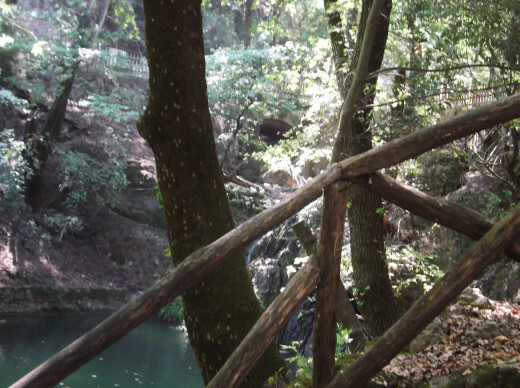 The valley is lined with Oriental Sweetgum and pine trees, amongst others, and a stream runs through the centre. 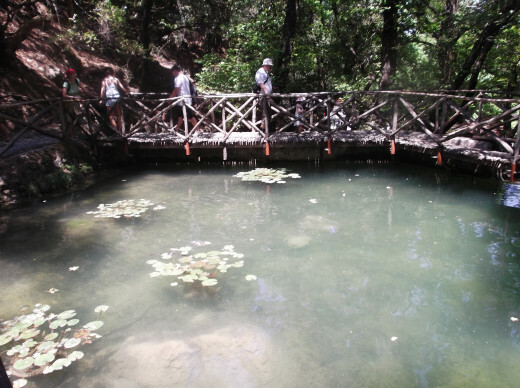 There are various bridges, waterfalls and ponds covered with lily pads. Even in the sweltering heat, the trail makes for a pleasant walk. The pathway is completely shaded by trees, offering visitors some much needed relief from the sun. When approaching the second part of the valley, visitors are offered the option to take the small wooden train to the pinnacle. The second part of the trail is all uphill, and all steps, taking around an hour to complete. I opted for the train and then walked back down the path. At the top of the Valley sits a beautiful, although very small, monastery, The Monastery of Kalopetra. 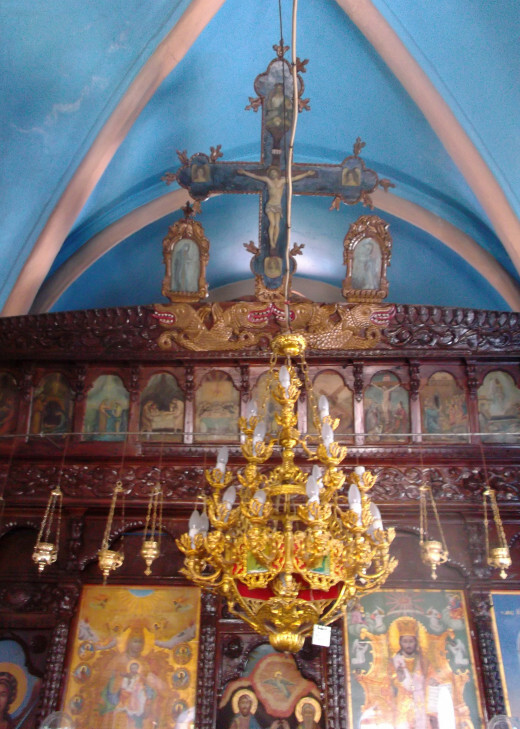 Built in 1780, the monastery was founded by the exiled Alexandros Ypsilantis. The reasons Ypsilantis founded the monastery are uncertain, some believe that he established the monastery after bring his daughter, who suffered from Tuberculosis, to the area in search of a cure. 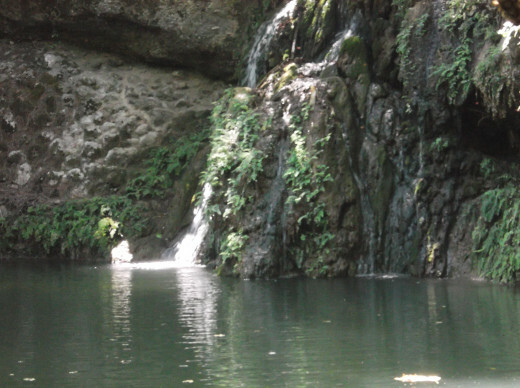 The spring water from the mountain was believed to have therapeutic properties. 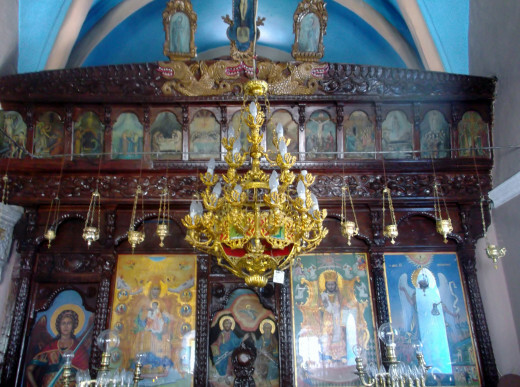 Legend has it that out of gratitude, Ypsilantis founded the monastery to honour the Virgin Mary. In contrast, other stories maintain that he founded the monastery after seeing a divine light shining from the area, which helped him and his children survive a dangerous sea storm. I guess we'll never know. 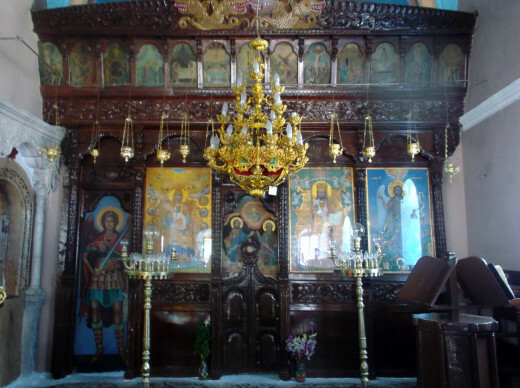 The interior of the monastery is quite exquisite; beautiful paintings adorn the alter as do ornate wooden carvings, and the building is surrounded by a pleasant terrace with exceptional views across the valley. 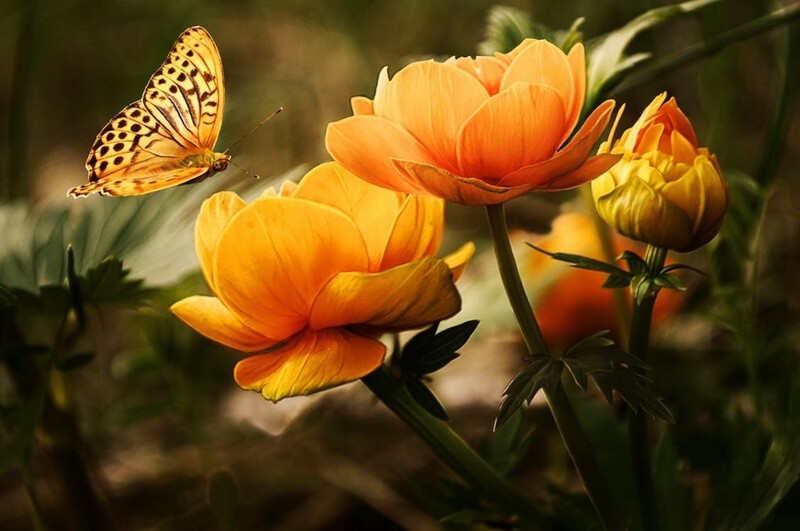 Butterflies In Our Garden and The Flowers They Love. Puddling of Butterflies. Sounds like a wonderful trip, and you got some beautiful pics. Great work! Thank you, Pstraubie. 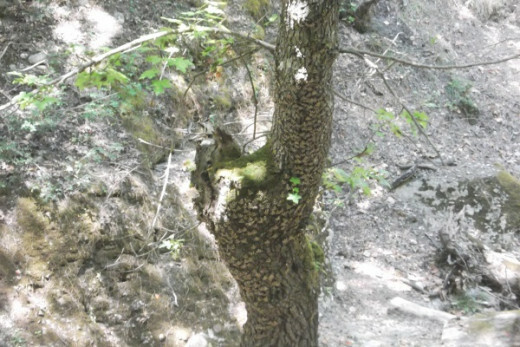 If you look a little closer at the first pictures, you'll see speckles on the bark of the trees, they are butterflies. Very interesting. I hope that they continue to be protected so that they do not become extinct. It is such a good thing that someone discovered that noises disturbed them. 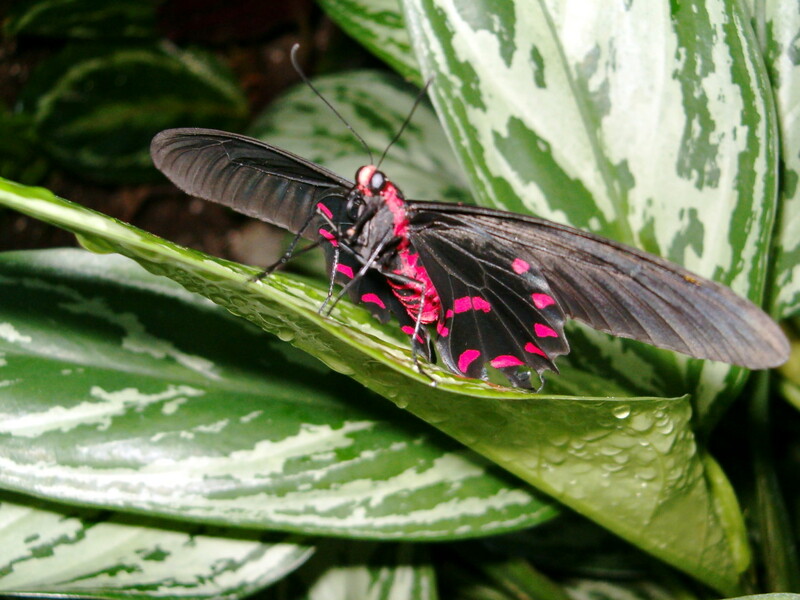 I was unable to see the butterflies in the pictures but as you said it took a while to realize they were there in person. Thanks for sharing. The photos were lovely anyway.